The art of business is very predictable and has preferred methods that make prospects and customers respond by handing you money. What you do to generate Leads results in how many Sales you produce which sets the bar for how many Referrals you can expect. 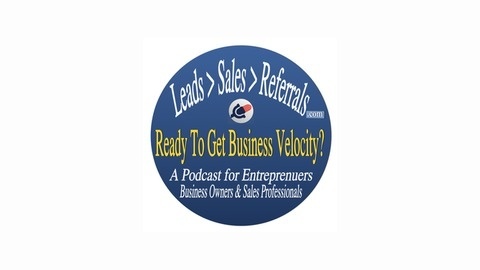 This podcast discusses how you can attract more leads, convert those leads into your best customers and get referrals, putting your business on a growth spurt that compounds itself with each sale made. Are you getting the maximum potential value of your leads and customers? In this episode, find out 5 specific things you can focus on to grow your business exponentially in a very short time and without spending an extra cent on advertising or marketing. 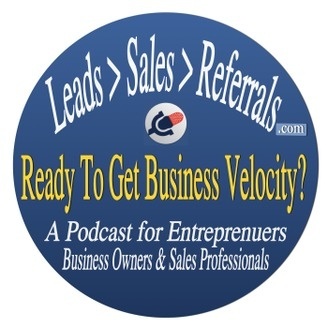 In this podcast: Getting the most from what you already have to work with 5 focus areas to take your business as far as you want it to go Increasing the value of lead generation Increase the lifetime value of a customer How a small 10% increase can add far more money to your bottom line (watch the video: http://marketing-velocity.com/success/ Subscribe & review us in iTunes Click Here and then click the View in iTunes button. Thank you! 14 – Is The Customer Always Right?